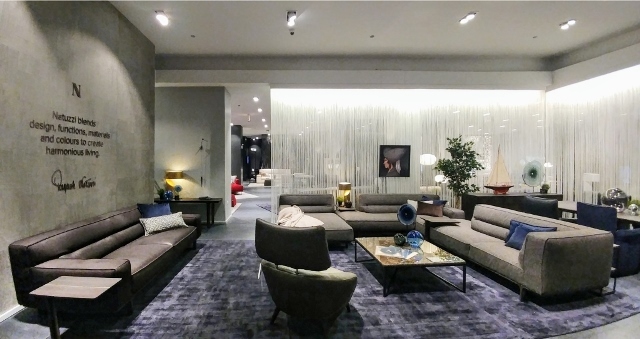 Natuzzi Italia inaugurated a new directly owned store in the United States, on February 10th. After the recent opening in Costa Mesa, California, Natuzzi Italia opens a new mono-brand store in Chicago, Illinois, a landmark for design brands and contemporary architecture throughout North America. The new “Windy City” store spreads over an area of 619 square meters within the historic Ranch Triangle, a neighborhood that has undergone tremendous change during the past two decades, including large increases in population and traffic, along with an infusion of residential, retail and commercial development. The store features all the new entries in the Natuzzi Italia collection across 27 rooms and 4 dining areas. With this new opening, the number of Natuzzi Italia store in the United States increases to 13.